Split the court down the middle, using painters tape, floor markers, or your imagination! 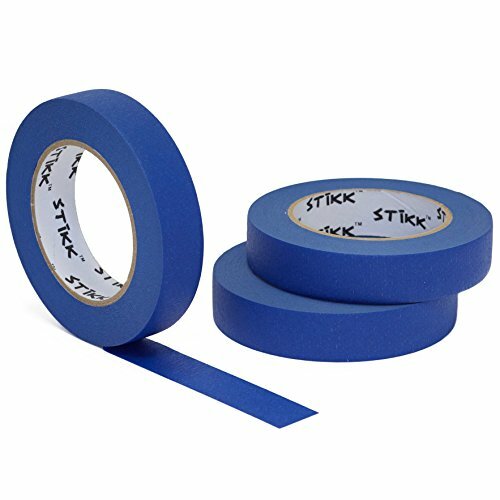 I recommend painters, tape because it shows the line clearly. However, floor markers spread along the boundary between courts is usually good enough that players will not argue. 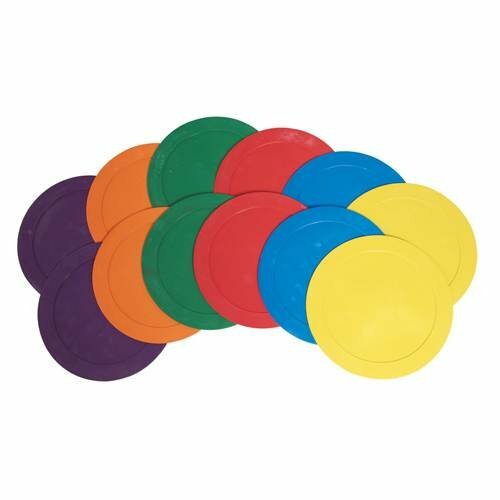 I know a lot of us probably have cones for volleyball, but I don’t recommend using these, because even though they are little, they are a tripping and slipping hazard. Even in controlled drills players can slide on them, so I’d rather just use my imagination and have nothing to trip over. If you’d like a visual split in the court at the net as well, just move one of the antenna over to the middle of the court. It will be more useful here for this drill than on the outside line. Depending on the skill level of your team, you could either create teams of 2 or teams of 3. If you coach a team with a large roster, you could even put teams of four out there. Split the teams up yourself. Plan these out ahead of time so there’s no awkward moment while you try to make them even. You could mix up positions so that every team has a setter, hitter, and DS. Or you could put players together who are usually next to each other in the lineup. This gives them more experience playing together. Have players draw teammates out of a hat. This could lead to interesting combinations of players and will probably mix up any small cliques you may have on the team. Let players pick their own teams. I would recommend this if you have a group where team chemistry is high and there aren’t really any players who would be left out. Having coached high schoolers, this would probably work well with freshman and sophomore teams who want to make their own decisions as often as possible. I also think it would be fun to form teams of all DS’s, all middles, etc. This could be a fun bonding experience for your team and show each group has strengths and weaknesses. If you have another way you can think of to split your team into mini-teams, let me know in the comments! For this round robin, we’re going to play with normal volleyball rules, except because the court is so narrow and the teams are smaller, you’ll probably get a few questions related to rules modifications. You can make your own rules up, but I like to keep it simple so they can just have fun and not have to follow new rules. Where do players serve from? Back line for older, intermediate to advanced teams, closer for younger on inexperienced teams with little service control. Are there any rules on who touches the ball? No touch rules for most teams. If you want to make it so that no one can touch the ball twice or that there have to be at least two touches before the ball can go over, feel free to add that in. What if a player crosses into the court on the same side of the net? What happens? If a player is going for the ball and crosses the center line with their entire body, the ball is dead/out on them. This is so we don’t have players running through a court when the other teams are in the middle of play. Is it win by 2? It depends who much time you have. If you need a long drill that takes up time, have it be win by 2. But if you want to make sure you stick to a schedule, have it be the first to 10. What if a ball rolls through the middle of the court? Stop play and do a redo. Safety first, people! I always hate trying to figure this out on my own, so here’s a schedule you can write on your whiteboard or have in your practice notes. If you want to get super serious, keep track of the scores from each round so you know the ranking for sure in the instance of a tie with wins. Head-to-head results, then point differential if necessary, and coin toss as a last resort. You could also do rock paper scissors to make it more dramatic. If you’ve got older players who can move the game along a little quicker, you could also change the goal score to 15. 10 is probably enough for the younger teams. I think playing with your team offers a tremendous amount of benefit if done in the right circumstances. So much so that I made a video on it, if you want to check it out! Good luck! Report back if you found anything interesting/noteworthy while running this round robin with your team!